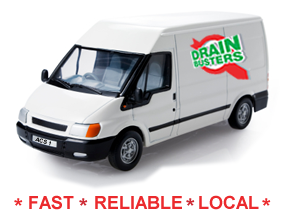 Solving drainage problems since 1990, surprisingly we are one of the longest established companies in East Lancashire. 90% of our work comes from recommendation and existing customers, both in the Domestic and Commercial market. We specialise in all aspects of drain clearance ranging from blocked drains to maintenance and repair. Drain Busters uses the most up to date tools available on the market in order identify and resolve any problem you may have. With our cctv drain camera we are able to find where in your drain the problem is whether it is blocked or just damaged. This means we don’t have to dig up the whole of your garden or road. Sonar Drain Tracing is our drain identifier tool which is used to find where abouts your drainage pipes lie whether theres a funny smell in or around your property or you are doing some building work, this tool will go a long way in telling you precisely where they are positioned.